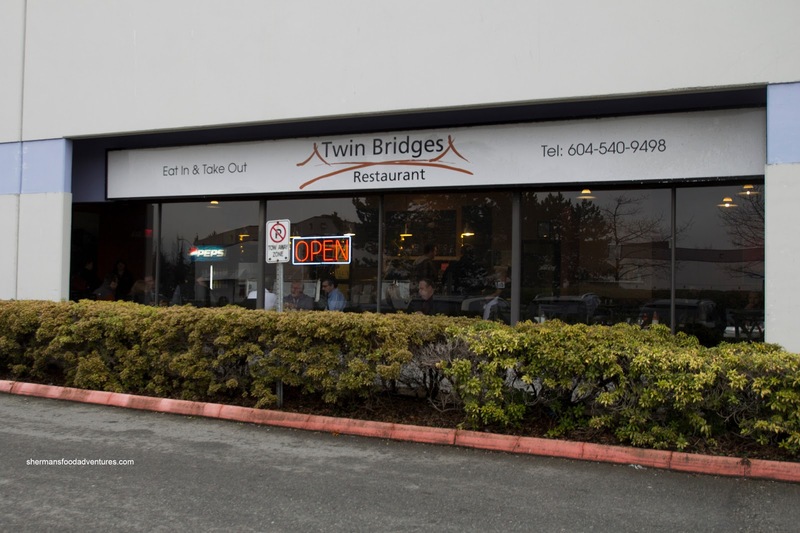 Sometimes there are restaurants that are generally ignored by most people because of their operating hours and/or location. The good ol' lunch spot in an industrial park lives out its lonely existence only to serve those who work nearby. 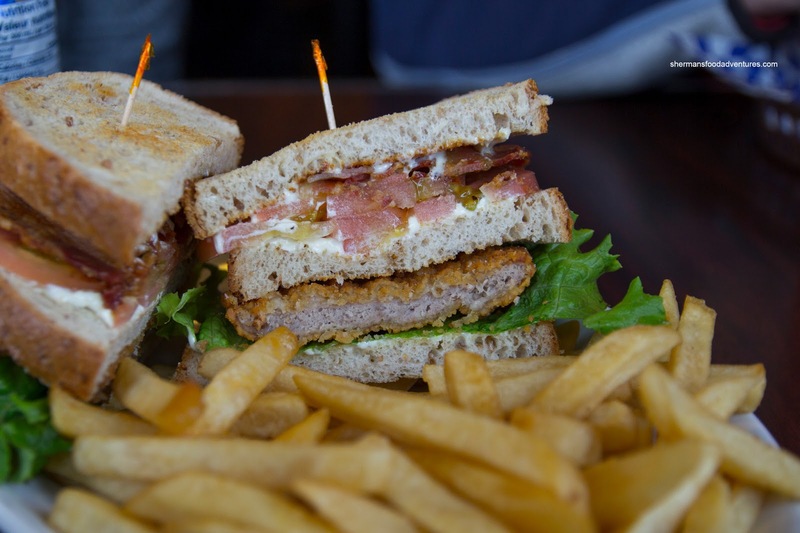 However, there are gems to be found that actually serve up more than the simple sandwich or pasta salad. Case in point, 2 Chefs Richmond offers up a menu that screams out restaurant rather than a default lunch joint. 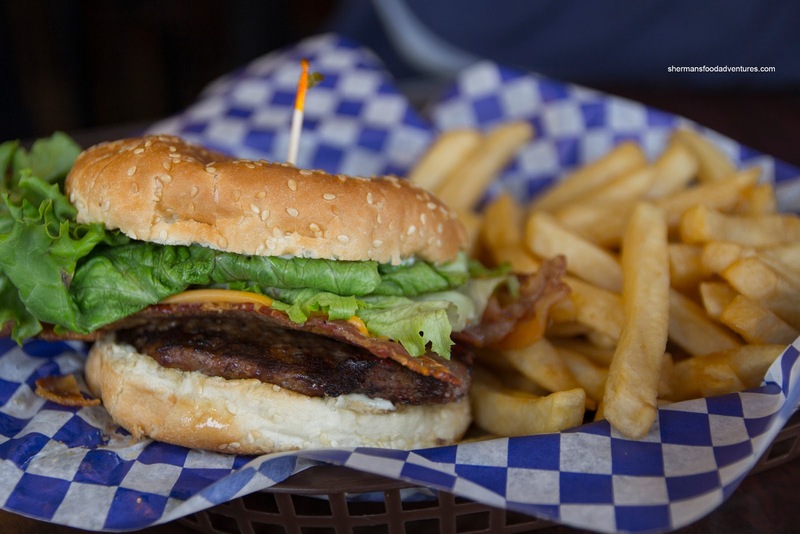 Also, there is Rod's in Burnaby that tries to offer up something different in gourmet burgers (but ironically, I prefer their sandwiches more). 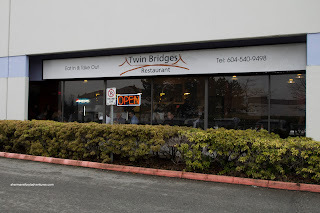 The most recent lunch spot I hit was Twin Bridges out on Annacis Island. Hot Mama and Zamboni Guy joined me on this food adventure which featured a "nicer" than most industrial complex restaurant decor. Inexplicably, Hot Mama did her best Miss Y impersonation and had the Wonton Noodles. Suffice to say, it sucked. From the chicken bouillon broth to the undercooked noodles, these wonton noodles would've been best left in its uncooked state. Zamboni Guy went for something safer in the Bacon Cheeseburger. This was fairly straightforward with a relatively moist patty. Nothing to write home about, but it did the job without any complaints. 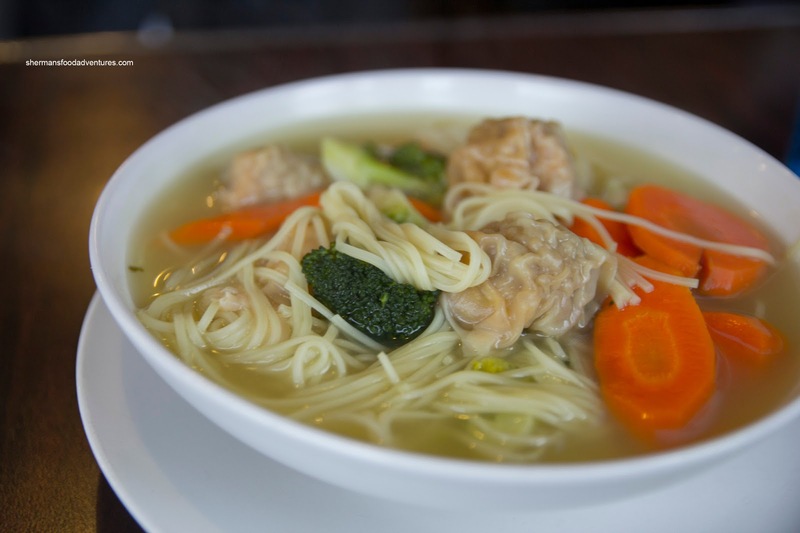 Thank you Sherman for the critics on the won ton noodles soup, this is not our best seller, but I will improve it a lot! you have to try our daily lunch specials, this is where our niche is, I have two amazing Chefs and I think most of the time there is no better food to price ratio in the area. @Alex Yes, as mentioned, the wonton soup is nothing I would've personally ordered. I will definitely be back because the food is better than most run-of-the-mill lunch spots.